This holiday season, we at Women Auto Know want to extend a heartfelt thank you for all of the support you have provided to our mission to End Auto Anxiety. Auto Anxiety is a 40 year epidemic and has affected millions of drivers, resulting in distrust between shops and consumers, auto repair neglect and unnecessary accidents. 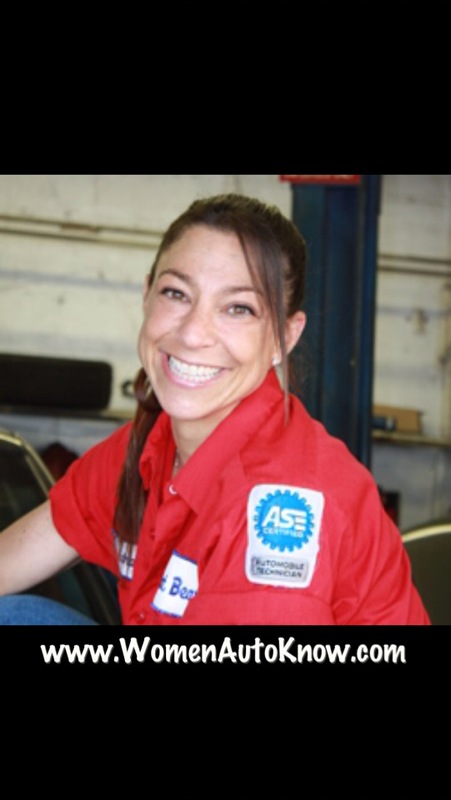 Women Auto Know was founded by me, Audra Fordin, a fourth generation mechanic. I have used my life experience to formulate the cure for Auto Anxiety. WomenAutoKnow.com is user generated Auto Shop Directory & Review Community. It’s all about women empowering other women to have a choice, by sharing their local auto shop experience, encouraged by Pledged Auto shops, which fosters relationships that aid in the cure for Auto Anxiety. With your help, we can put an end to this epidemic and change the perception of auto repair, one woman, one driver, one auto shop at a time. More than Money – Help Us Help YOU! That is the theme of our IndieGoGo Campaign to raise automotive awareness, empower auto shops to effectively provide education for drivers to become safe, confident and knowledgeable drivers, passengers and consumers. Pledging your support is FREE and will enable us to highlight the shops you patronize and bring Women Auto Know workshops to the masses. Support us by registering for a FREE MEMBERSHIP at Womenautoknow.com and write a review about your shop. Each review you write will empower 3 women to make informed decisions related to their automobiles. Log on to our campaign and find out what you can do to be part of the cure to #EndAutoAnxiety today! Thank you for your continued support and have a Safe and Happy Holiday Season. I bet you never thought you’d hear that from a business! We are about to launch a crowd funding campaign through Indiegogo on #GivingTuesday, December 2. But before we do, we want you to understand our goals. Women Auto Know has been bringing automotive education and empowerment to drivers of all ages for over five years. Now we are poised to take WAK to the next level. We’ve never been the type to sit on our butts and wait for things to happen… WE MAKE THINGS HAPPEN! And in this spirit, we are focused on dramatically expanding our reach over the next year. Pretty aggressive, we know. But with your help, we can not only accomplish these goals, we can far exceed them. 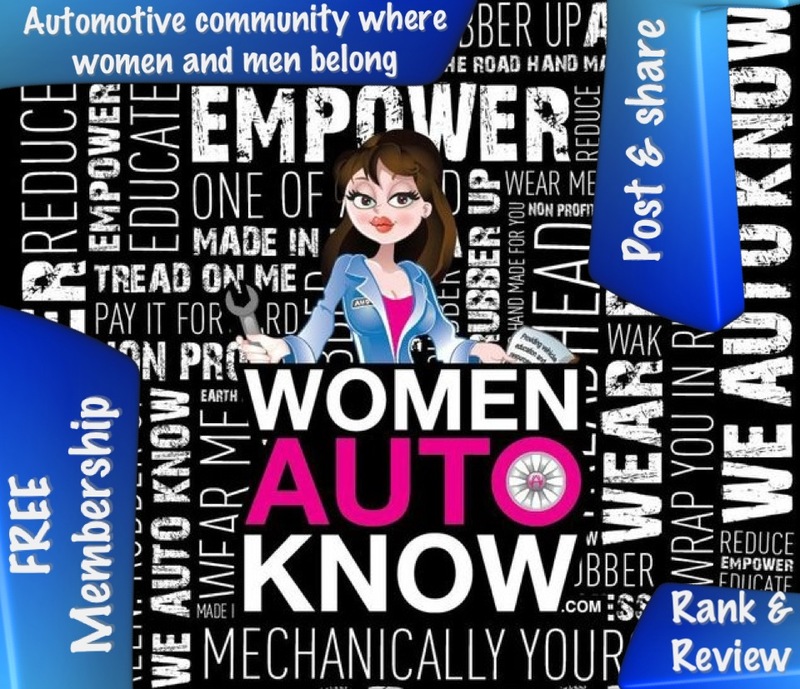 When you join Women Auto Know for FREE, you become a WAK VIP and gain access to great resources that provide auto awareness and take the fear out of auto repair. Your membership gives you 24/7 access to our user generated Auto Shop Directory & Review Community, where you can find pledged shops. Just writing one review empowers 3 women to make informed decisions related to their automobiles. Auto shops can help us reach our goals by taking the Women Auto Know Pledge. Along with tons of point of sale perks and marketing tools, WAK Shops get premium positioning on our directory and can invite customers to review them, increasing their exposure and community reach. In fact, each customer gained results in $768 in profit to the shop! MORE THAN MONEY – Help Us Help YOU! WAK is on a mission to end the 40 year epidemic of #AutoAnxiety once and for all. So log on, sign up and spread the word and be part of the cure! We want to feel pampered, catered to, valued and put on a pedestal. But most of all, we want to be comfortable! That may sound like a tall order to fill, but it actually isn’t. Auto shops see all types of customers every day, from business professionals to homemakers. So waiting areas and sales desks should offer an environment that makes everyone feel welcome. Kids Corner – remember, ladies make 65% of all auto related decisions. Many women show up with children. Designate a kid-friendly area in your waiting room, complete with crayons, books, kid sized furniture and toys. You will keep kids and more importantly, moms, very happy. Car Cafe – Starbucks and other coffee houses are cash cows because they offer ambiance and good eats. You can too! Set up a coffee corner and a comfy seating areas that give customers ample room to multi-task courtesy of your free wi-fi. And it wouldn’t kill you to set out some fresh cookies either! Television – Keep the television on mute and use closed captions so that the sound doesn’t disturb other customers. I suggest a family friendly channel, like the Food Network or National Geographic. Music – Have some sort of background music, preferably seasonal or elevator type, to cater to all preferences. A silent waiting area can feel like a morgue, and makes the shop noise (and staff chatter) that much more noticeable. Promote Your Community – If you sponsor a little league team or have a Girl Scout in the family, spread the word with your customers. Keep pictures of your staff and community involvement front in center so your clientele will feel like they know you, even if they don’t. Resources – Your job is to provide service. Giving your customers access to great resources, like Women Auto Know, provides extra service that they can take with them. Long after they pay the bill, they will be getting value from WAK,manufacturer sites, safety organizations and other resources you direct them to. And every time they use those resources, they will think of YOU! Customer Testimonials – Your customers are your best asset for improving your service ratings and your bottom line! Get to know them and greet them by name. Take pictures of them (with their permission) with their cars and ask them to write a small testimonial about your business. Post it on your WAK micro-listing and print it and hang it on your waiting area wall. Real customers giving real compliments will make everyone in your shop feel real comfortable. 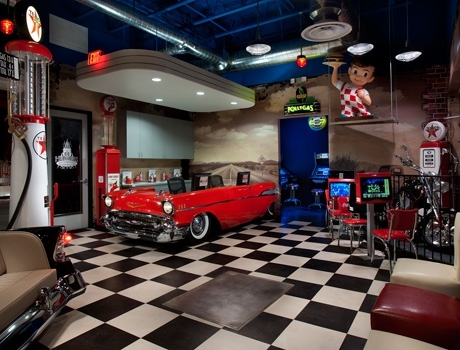 Pick a Theme – Go retro, country or rock and roll. Find accessories, pictures and furniture to compliment your theme and carry that over to your printed material. People love being ‘part’ of something. And your shop may be just what that next customer is looking for. Got any other great ideas on how to create a custom waiting area? Share them with us in our comments section. Ladies, share this post with your shop and encourage them to step up their game and put you, the customer, first! Although this is a great way to let the wait staff know the service was terrible, this doesn’t let future customers know. As a WAK woman, you have the power to inform other women of your good and bad customer service experiences. You can save them the frustration of being mistreated and instead direct them to the shops that support women, provide excellent service and have taken the Women Auto Know Pledge. Join WAK today for free so that you can write a review and rate your shop on our Auto Shop Directory. 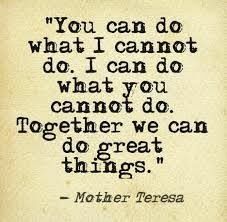 TOGETHER… We Can Do GREAT Things! Service not Sales. That’s part of the WAK philosophy. This is just one of our beliefs that supports our commitment to incredible customer service. WAK Auto Shops actually pledge to provide excellent service to the WAK community and their customers. In a world filled with crazy sales gimmicks and spam emails, focusing on providing customers with stellar service experiences, regardless of whether they buy a product or not, is a dying art. But WAK is bringing service back! And we need YOU, the driving community, to partner with us and our Pledged Shops to create a culture of customer service. Drivers aren’t floor mats, they have floor mats. So don’t let shops walk all over you by selling you parts you don’t need, repairs your cars don’t need or warranties that nobody needs. Take the first step and register to become a Women Auto Know member for free. With a few clicks, you’ll have access to oodles of excellent resources that will arm you with automotive education and empower you with the knowledge you need to make informed decisions. Say so long to auto anxiety and intimidation. Kiss creepy mechanics good-bye! Don’t settle for anything less than honest technicians, fair prices and full transparency about the service that your car needs. We’re doing our part by spreading the word about the WAK Mission. We are recruiting new shops each week and are partnering with other companies that believe the stigma surrounding women and cars can and will be shattered! Can you hear the glass ceiling breaking ladies? Women Auto Know is Bridging the Gap! Women Auto Know is all about bridging the gap between female consumers and auto shops. In general, we want to bridge the gap between ALL consumers and the automotive industry as a whole. We want to tear down the walls that separate mechanics from drivers, break down the stereotypes that all women are automotively ignorant and all shops are dishonest. We want to build an environment of respect, trust, equality and empowerment for ALL drivers and ALL shops that agree to pledge for a more transparent automotive industry and more accountable, educated consumers. Help us by joining WAK for free today!